A Poway family is urging people to be aware of a possible new scam that may be luring people away from their homes. 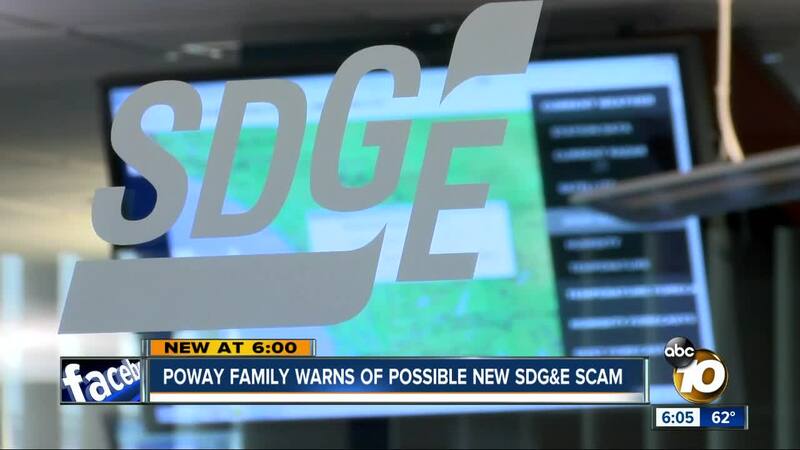 SAN DIEGO (KGTV)— A Poway family is urging people to be aware of a possible new scam that may be luring people away from their homes. One resident says she was almost tricked by a caller who claimed to be an SDG&E employee. Katharine Chavez says she called the company to confirm. Chavez says she wants to make sure others don’t fall victim to scammers. SDG&E says under FAA regulations they are required to notify residents and evacuate homes for special construction projects, such as transporting a new utility pole by helicopter. The company says you should always ask for SDG&E identification if you have suspicions about a worker coming to your home.